The Ricoh GX e3300N is the ideal sublimation printing system for new businesses looking to generate new profits on a small budget. The SubliJet-R is a sublimation ink specially formulated for the Ricoh platform, which produces brilliant, high-resolution colors quickly and efficiently. Combined with a high-quality transfer media, SubliJet-R produces vivid, permanent images that are unrivaled in any other form of digital printing. The Ricoh GX e3300n is also compatible with the ChromaBlast system. ChromaBlast is a cotton printing solution that allows users to create bespoke custom-made garments that rival those produced by tens-of-a-thousand-dollar direct-to-garment printing systems. 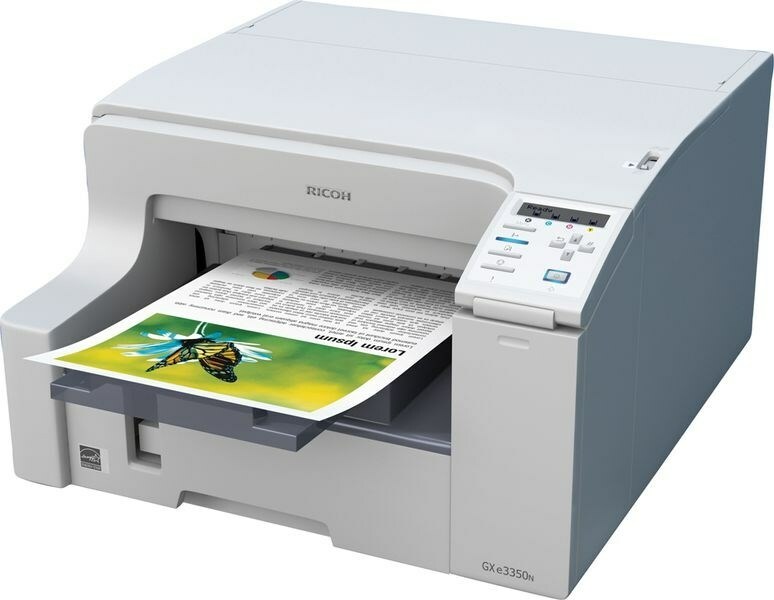 The Ricoh GX e3300N is capable of producing up to 144 color prints per hour. High-capacity ink cartridges provide extended uninterrupted printing without the need for a separate bulk ink system. The Ricoh GX e3300N with SubliJet-R ink includes the SubliJet-R PowerDriver printer driver, color management software and PartnerPlus support. The professional grade system supports 8.5 “x 14” transfer media and comes standard with a 250-sheet high-capacity paper tray. 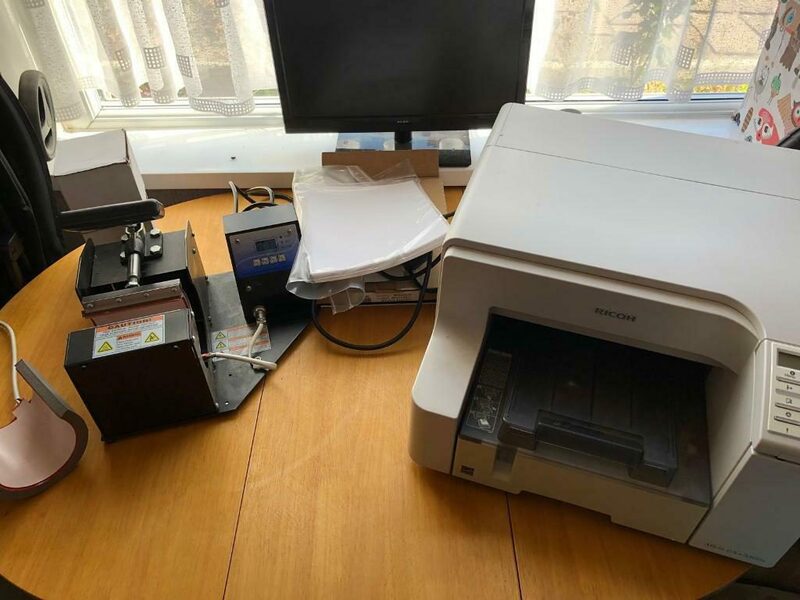 Start Windows and insert the supplied CD-ROM into the CD-ROM drive.Quit all other running applications.After inserting the CD-ROM, the [Printer Drivers, Manuals, Utilities] dialog box appears. If it does not,double-click the CD-ROM drive icon under [My Computer] or [Explorer], and then double-click [SETUP.EXE]. Select a language for the interface, and then click [OK]. Read the entire license agreement carefully. If you accept the terms, click [I accept the terms of the license agreement], and then click [Next]. Confirm the location where you want to install the User Guide, and then click [Next].To change the installation location, click [Change]. Confirm the program folder in which you want to install the User Guide, and then click [Next]. Click [Install].The installation begins.During installation, a message asking if you want to create a shortcut icon on the desktop appears.Click [Yes] or [No] as appropriate.